The rise of both external and internal threats makes governance one of the most important topics in today’s workplace. But, since it can require loads of time and resources, many companies fail to apply strong governance to their data. 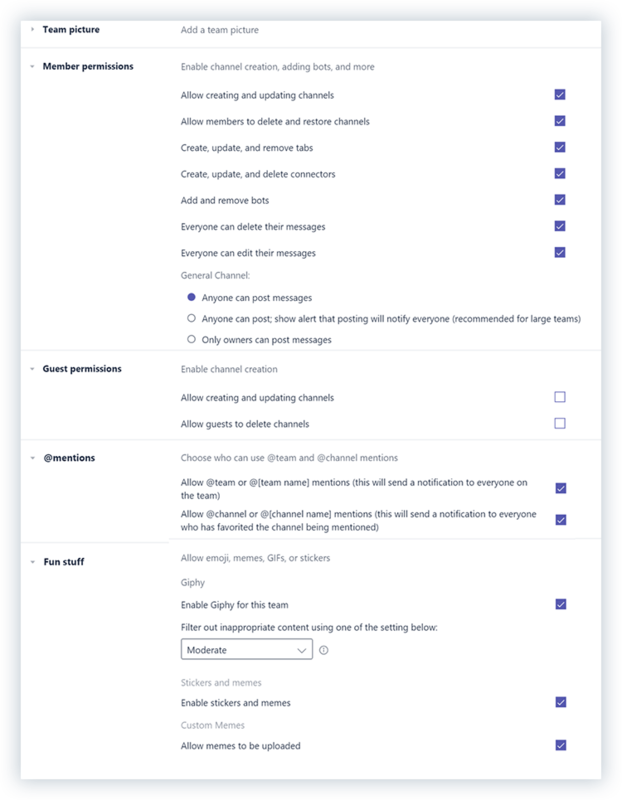 To keep unauthorized people away from your data, you must define guidelines and rules for using Microsoft Teams. Luckily, this process doesn’t need to be complicated. I recommend taking a “governance-light” approach where you keep things small and manageable. For example, create a steering committee that meets once a month to discuss your risks, your governance strategy, and any steps you must take to keep your data secure. Microsoft Teams is built on top of the Office 365 Groups framework. Check out Part 1 of this series for my tips on how to create Microsoft Teams and use the SharePoint online managed path. Let’s now take a look at the tenant & team settings. Review these settings with your governance steering committee and decide which ones you will turn on and off. I believe that most of these options are safe to run, with the possible exception of custom cloud storage. Before you connect with a third-party service, it’s a good idea to check with IT and your security or compliance officer. A big part of my daily activities involves supporting customers when they implement and adopt the Modern Workplace with Office 365. I have written extensively about these topics, so be sure to check out my series on driving Office 365 adoption for more details. You need to answer this question, or your adoption will fail. Your business users must see the advantage of using Teams in their day-to-day work and how the feature will make their lives easier. Otherwise, why should they use Teams? Just because it’s available? No, that’s not going to happen. Choice isn’t always a bad thing. Guide your business users in a new way of working that is empowered by Office 365. Do you need adoption resources? Microsoft provides videos, guides, and templates that will save you time while you achieve higher adoption rates.